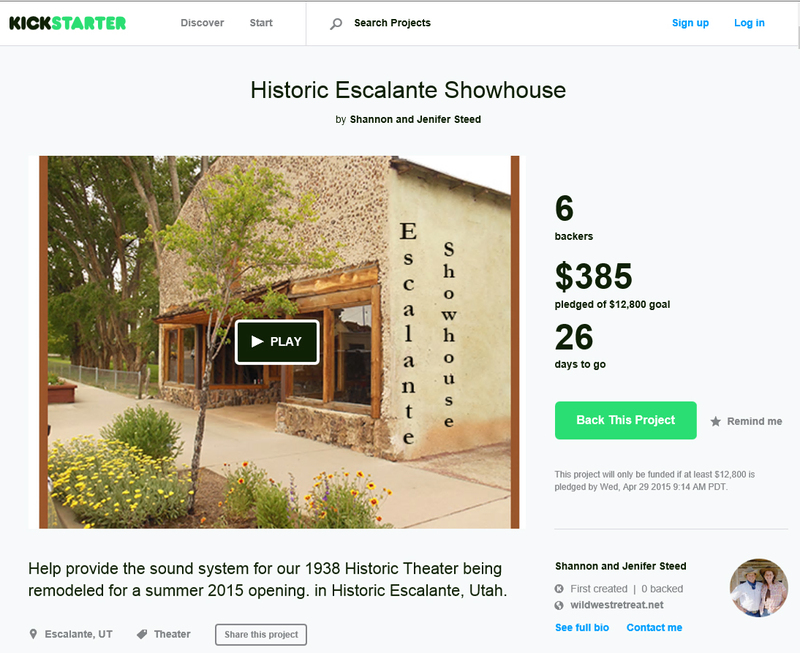 Help provide the sound system for our 1938 Historic Theater being remodeled for a summer 2015 opening. in Historic Escalante, Utah. 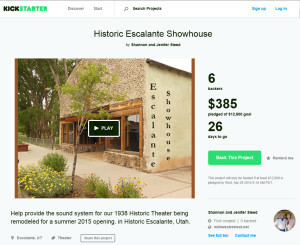 While we have the funding to repair, remodel, redo to meet ADA standards, we hope that you can help us with the sound system (which is imperative for a theater). Visit our Kickstarter site HERE. 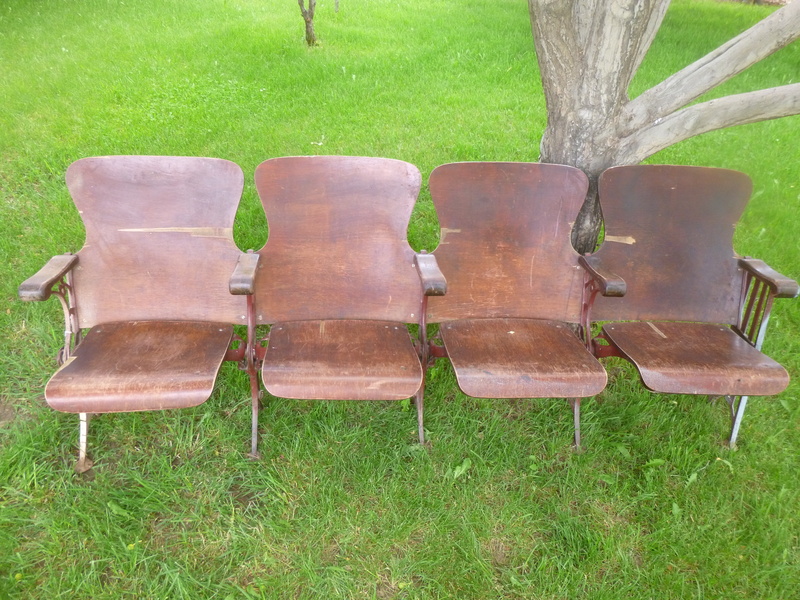 These chairs were the original theater chairs in the old Showhouse. We took out around 160 chairs and plan on using these up on the balcony for seating.